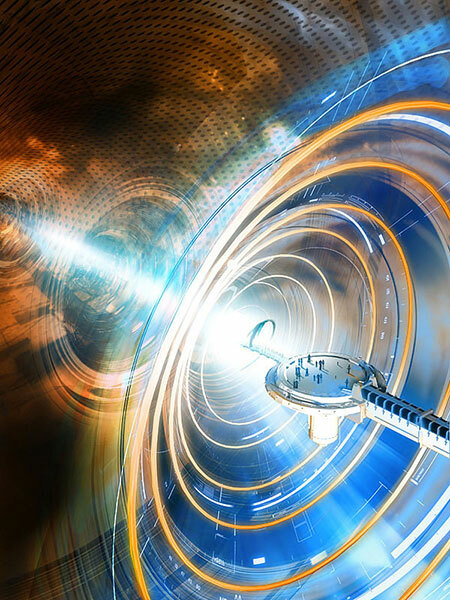 You’ve seen it in movies, but time travel may not be so far-fetched, or so we’d like to think. In a nutshell, “time travel is the concept of moving between different points in time in a manner analogous to moving between different points in space.” Continue reading to see five people who just might be real time travelers. He traveled here from the year 2256 and then quickly amassed a fortune on Wall Street. 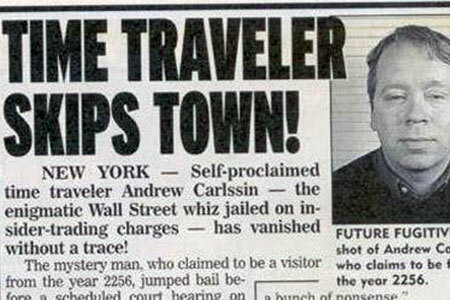 Unfortunately, he was caught and arrested for suspected insider trading. As reported, Carlssin started with an initial investment of $800 and ended with over $350,000,000, which drew the attention of the SEC. Maybe this means that the theory of time travel that supports the idea that you CAN change time, is the right one. 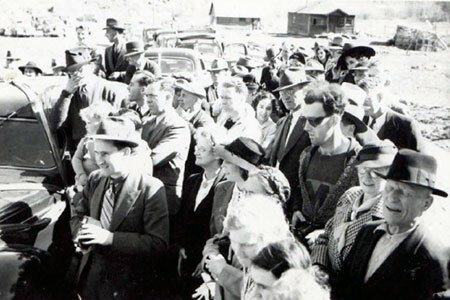 The above photo was allegedly found on the Virtual Museum of Canada website, an online repository of “Canada’s rich history and culture.” It’s said to be of the reopening of the South Fork Bridge in the early 1940s in Gold Bridge, B.C., Canada. But in the photo, something doesn’t belong. Who is this strange individual, seemingly out of place – modern attire and all – in what would otherwise be a perfectly ordinary gathering? 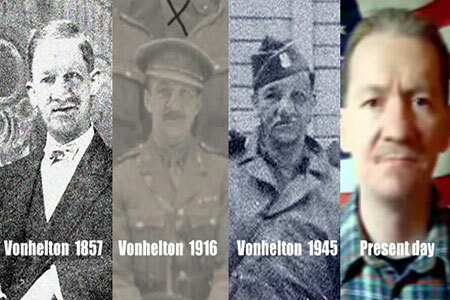 Known simply as VonHelton, this enigmatic figure suggests he might be part vampire, but asserts he is 100% time traveler. He has provided proof of his time travel prowess by lining up side-by-side photographs of himself starting in a studio in 1857 England, with stops in 1916 France, 1945 Berlin, and ending in the modern day in front of an American flag. Is he, in fact, a time traveler? Or is his “vampire gene” keeping him immortal? Hakan Nordqvist was having a normal if irksome time fixing his leaky sink when he suddenly found himself crawling through a tunnel. At the end of the tunnel was Hakan himself – but as an older man, somewhere around 70. So that his claims wouldn’t be refuted, Hakvan filmed himself jovially embracing…himself. The footage even shows the two men showing off their matching tattoos. A woman filmed outside the 1928 premiere of Charlie Chaplin’s The Circus has convinced many people that time travel is real. The unidentified woman holds her hand up to her ear and talks to somebody, although no one is near her. But wait � there were no cell phones in 1928! Could this woman be a time traveler communicating with her contemporaries via mobile phone?